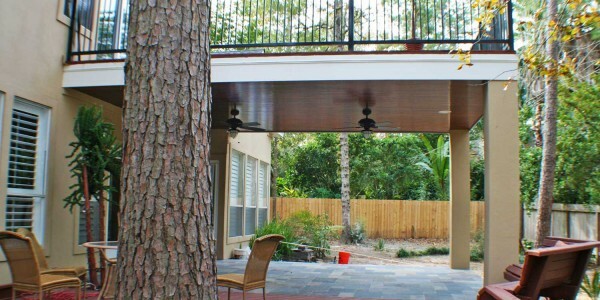 Other Features: Ceiling Fans, Recessed Lighting, Upper Deck. 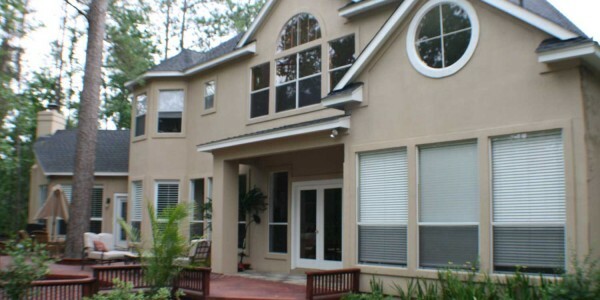 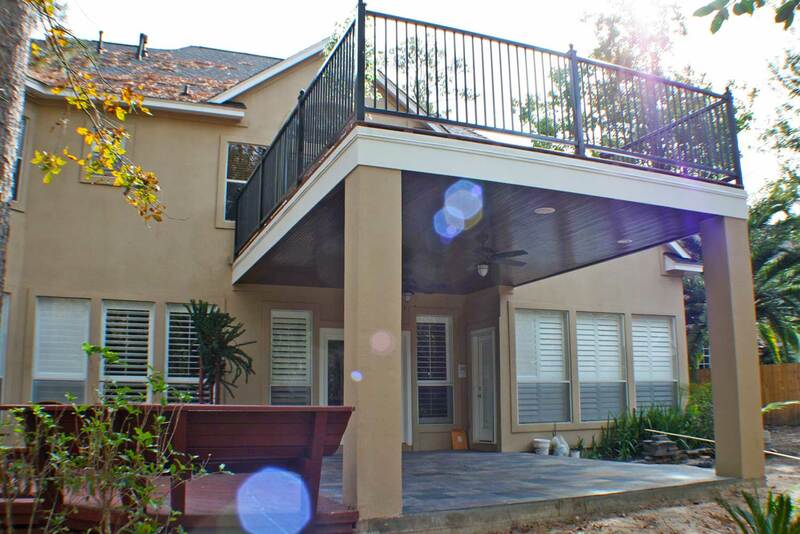 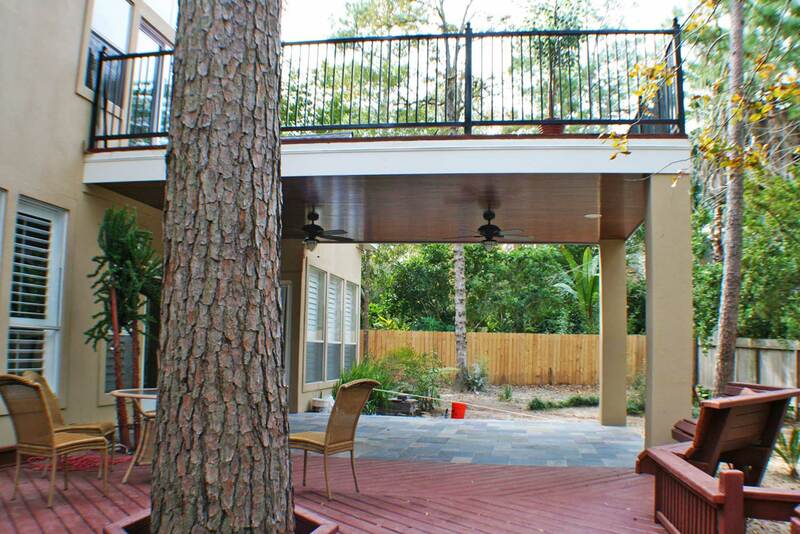 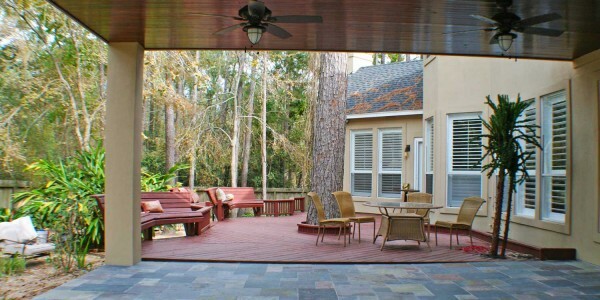 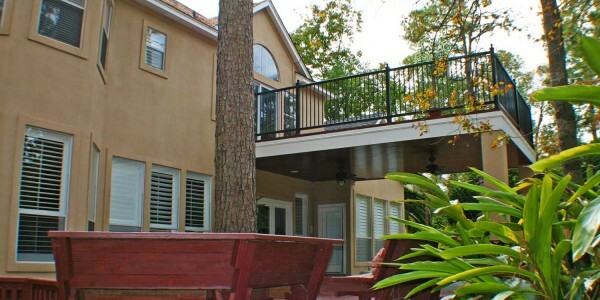 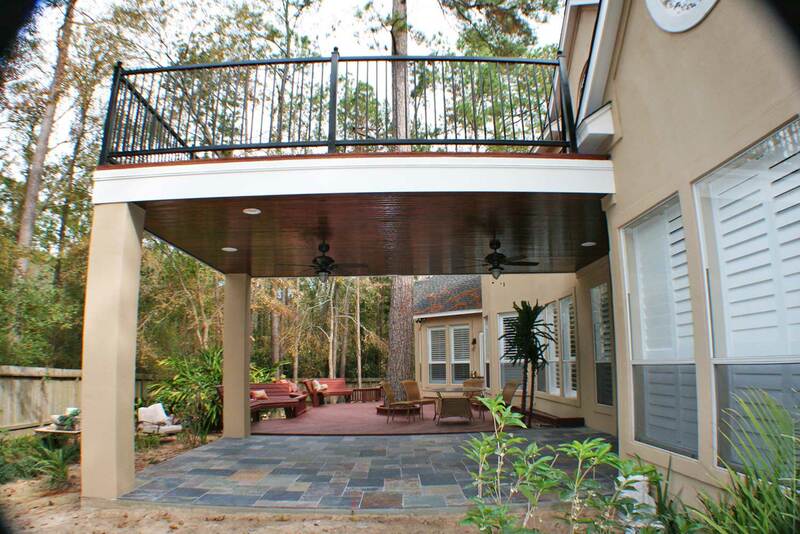 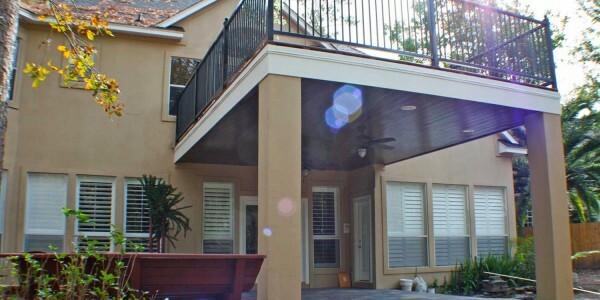 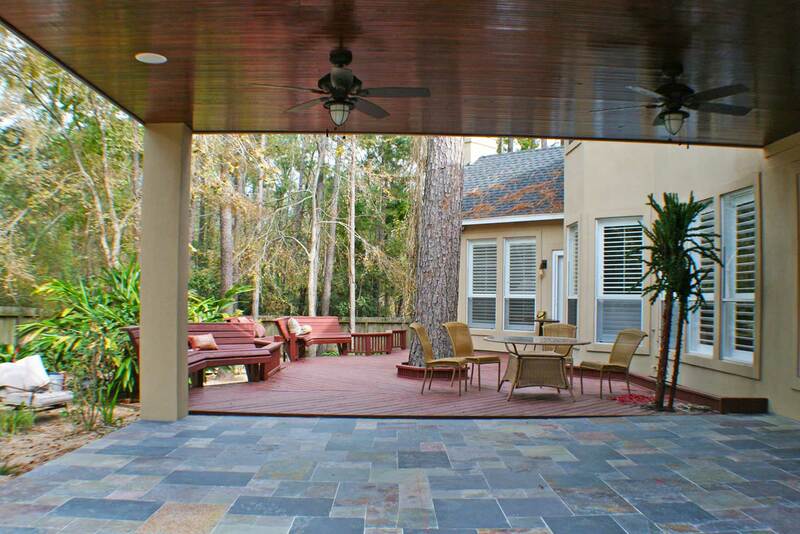 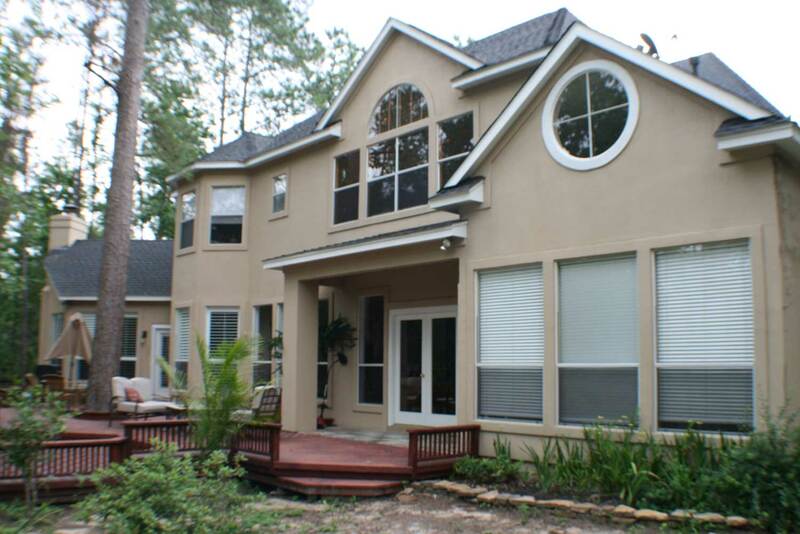 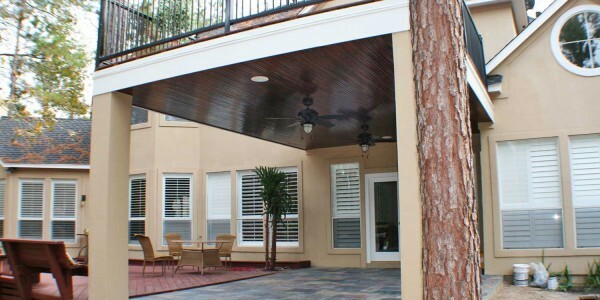 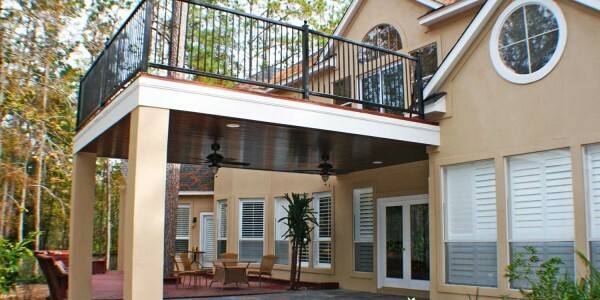 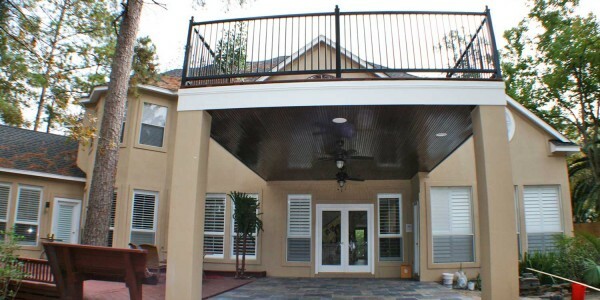 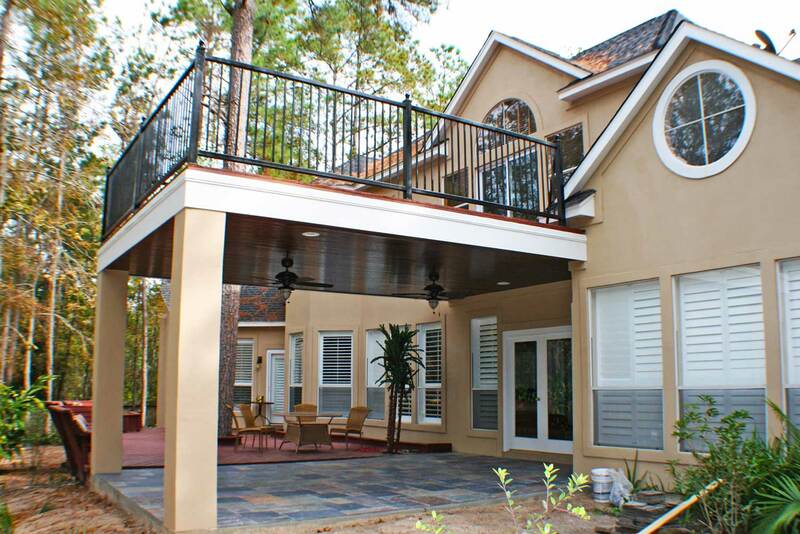 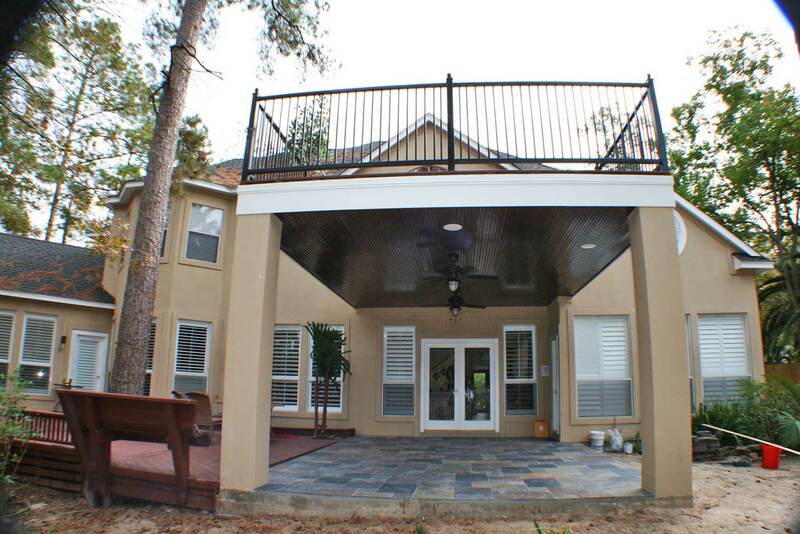 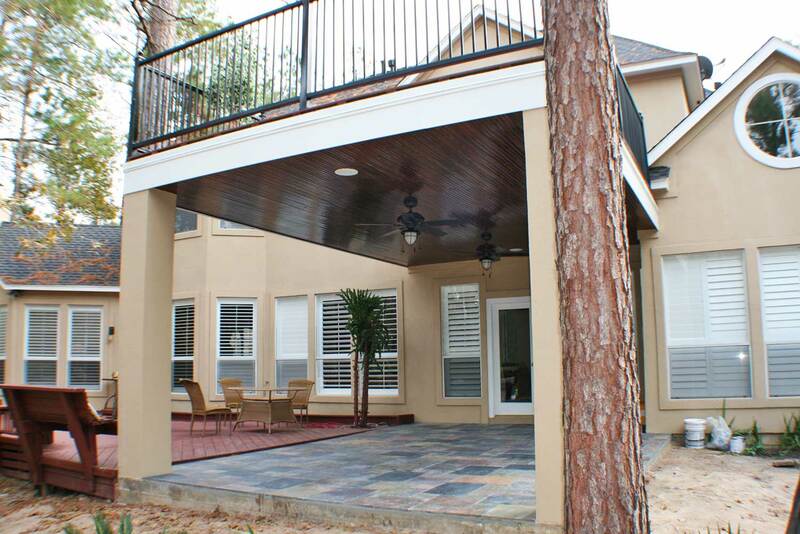 This patio cover features a new concrete floor with natural slate stone, two columns with stucco finish for seamless integration with the existing construction, flat ceiling, recessed lighting as well as ceiling fans, and a beautiful upper deck that can be accessed through the upstairs game room. 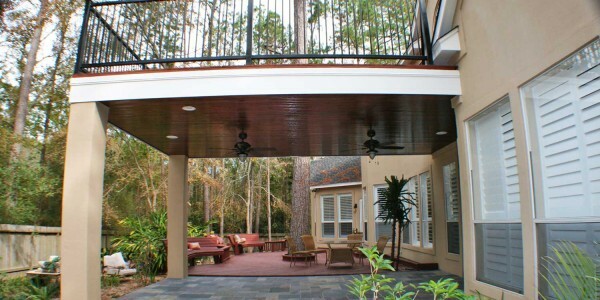 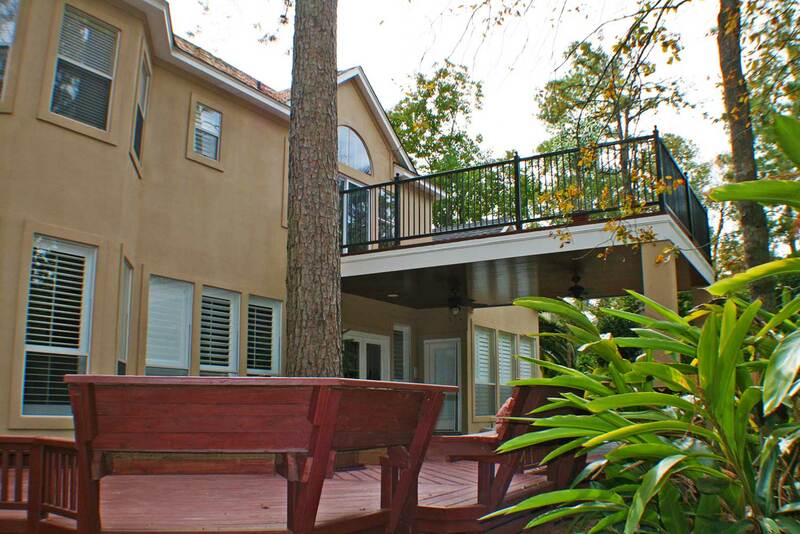 With a gorgeous set of sliding French doors and a composite deck with childproof iron railing, this upper deck is the perfect area to enjoy the sun and relax!